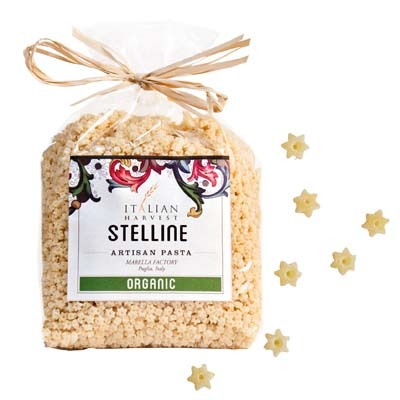 Adorably scrumptious pasta, this bag of Stelline Little Stars has all-natural ingredients, is organic, and is from pasta maker Marella. These cute star shape pastas are perfect for soups, casseroles, and salads. Toss these with butter and Parmesan cheese, or put them in your minestrone, and you will find your kids asking for seconds. You can even spruce up your classic chicken soup by adding these pretties to the mix. Whichever recipe you decide on though, you first have to get your hands on these lovely star pastas. So hurry and grab a bag now!